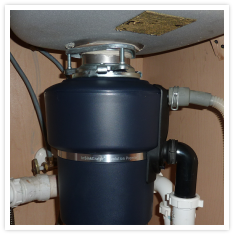 Garbage disposal repair can be very tricky, there are a lot of things to hold in place at one time and you kind of have to to it standing on your head. If you’d rather not have to deal with this kind of headache, then why not give Star Rooter a call. With over a decade of plumbing experience behind us and a fully certified crew, we have what it takes to get that garbage disposal running like new again.